Make a fantastic impact with our new fabric display stands! 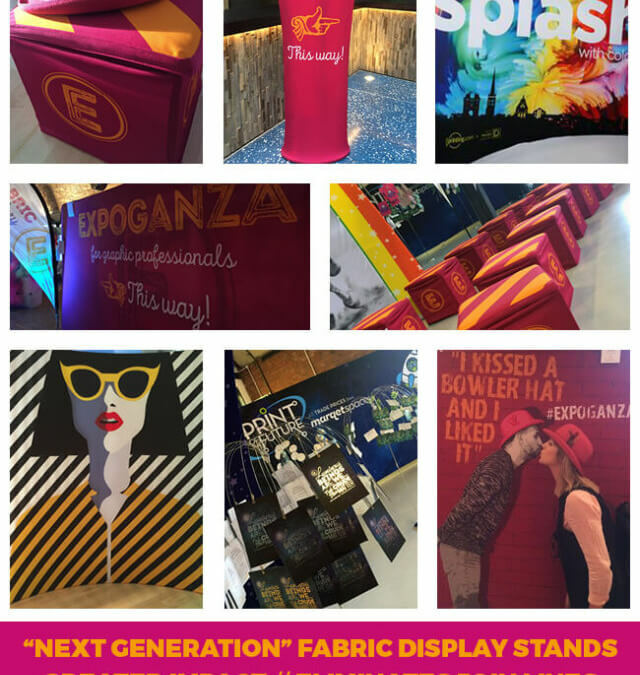 Our fabric displays are brand new and we are sure they will make YOUR BRAND look amazing! These ‘next generation’ displays deliver maximum impact with top quality full colour printing onto fabric. They are guaranteed to get you noticed at any event or exhibition! Each display unit has two components – a strong lightweight frame and a stretchy printed fabric cover. They are portable and easy to assemble. The cover stretches over the frame eliminating the problem of visible joins on larger displays. Plus each display is printed to the front and to the reverse giving maximum exposure. There are many styles of stand to choose from including pop up stands and curved and straight displays up to 4.6m in length. The covers are also machine washable meaning you can keep them looking their best, even after many uses. Plus, you can order additional fabric ‘socks’ to go over an existing frame. The options are endless. If you would like to know more, please call us on 01543 261220 or email us. We have a sample stand on display at our office plus a product brochure listing all the options. Here are details of some of the stands we have available. * Includes a TV bracket, tablet holder and two metal literature baskets. Tablet not included. There are lots of other options available so why not give us a call on 01543 261220 to discuss what would work best for you.